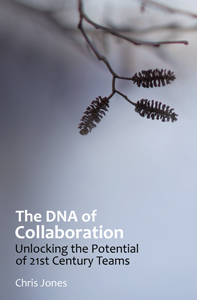 Examining ideas of OD thought leaders is a vital thread for the #orgdna community. Some of our best discussions resolve around ideas of the masters like Peter Senge and Margaret Wheatley. Most recently, we checked in with the thinking of Peter Block. One takeaway: it’s usually not the theory that eludes us, but the application. It’s time to check-in on the ideas of Chris Argyris, a powerful force of the 1980’s and 1990’s, whose timeless ideas about organizational learning still offer insight today. His seminal On Organizational Learning first appeared in 1992. We’ll use the following discussion outline for our chat. Q1. Argyris was among first to cast light on dysfunctional orgs. What did we learn? Q2. For Argyris, Double Loop Learning is to adjust our learning approach when we see gaps. Has this theory worked in practice? Q3. How might adaptive, Double Loop Learning be applied in today’s org? Q4. What did Argyris teach us about the viability of learning culture? What gaps must we tackle? Q5. What did Chris Argyris achieve that others had not? I already feel this discussion will be valuable. As OD students and practitioners, if we can figure out how to move the needle on the status quo, our chat may prove a good example of double loop learning in practice. I hope you’ll join us Monday 3/20 at 9pm EDT. It’s always lively. Just join the conversation on Twitter with hashtag #orgdna. We recommend a streaming app like TweetDeck. The rest is up to you. See you online.